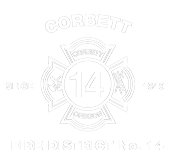 Major Incidents: 1 April 2, Auto Accident with Entrapment, E. Historic Columbia River Hwy. Rowena Conflagration, 8/6-8/9. Water Tender 62 responded with Multnomah County Task Force. August 18th , Government Flats Fire (Fire District 14 sent a Brush Unit and a Water Tender with four personnel to The Dalles to help with fire suppression efforts) returned on August 21st. Fire District 14 © 2018. All Rights Reserved.